A big screen showing live sales figures at the gala event in Shanghai. 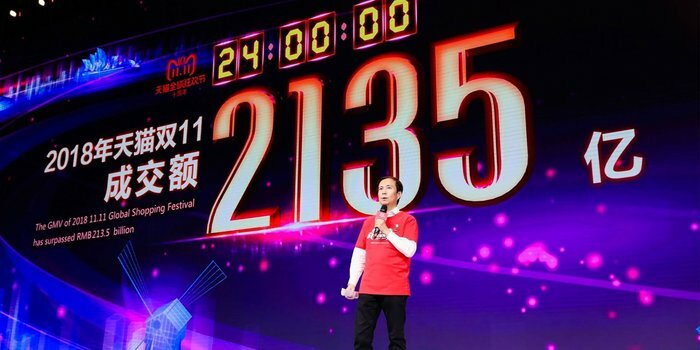 Singles Day (November 11) in China is the biggest online shopping day of the year for retailers across the country. This year, online retailer Alibaba Group transacted $42.46 billion of sales in just one day, with 60.3% of those sales using biometric facial or fingerprint verification. In 2015, Alipay VP Jason Lu predicted that the majority of online payments would be verified using biometrics instead of passwords. The patent author, Chris Burke saw the visionary use of biometric security for mobile devices much earlier, in 2003, and since then has registered a family of 26 biometric patents globally. Some of the patents relate directly to the act of enrolment of any biometric identifier/signature on mobile devices such as smartphones, tablets, debit and credit payment cards etc. This means that any company producing and/or using a biometric verification to complete online sales via a mobile device is most likely infringing one or more of the patents in our global patent portfolio. To find out more about our patent portfolio, please contact us at charpac@charpac.com.au.